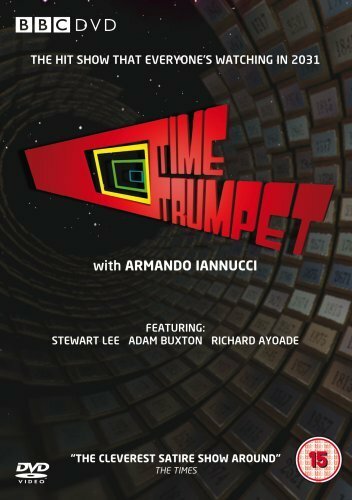 Time Trumpet was a British comedy series (a social, political and cultural satire) of six episodes of about 30 minutes which was shown on BBC Two in August and September 2006. 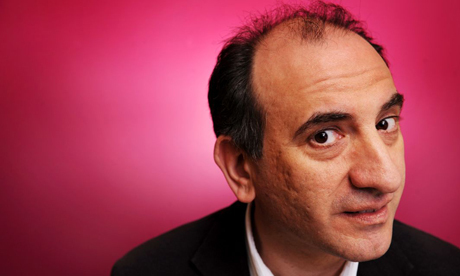 The programme was written by Armando Iannucci (a comedian, satirist, producer ... “responsible for some of the best broadcast comedy in Britain”), Will Smith (a British comedian, actor and writer) and Roger Drew (a British illustrator and television screenwriter). Its main characteristic is that the plot is set in 2031. It shows older versions of current celebrities (played by actors and actresses) looking back at events which occurred during the 21st century. Some well-known stars who were parodied are Tony Blair, David Cameron, Tom Cruise, David Beckam, Alastair Campbell, Jamie Oliver, Sisters Williams, Bob Geldof and so on. Today’s minor celebrities also appear and are then considered as VIP’s. There are a number of interviews with the characters. At the end of every episode three videos presented what would happen the next week. Two of the three were true but in the third they always said that they would deal with “an increasingly odd Tom Cruise” and showed a man pretending to be “pound for pound the world's strongest man”. A DVD of the series came out in 2009.